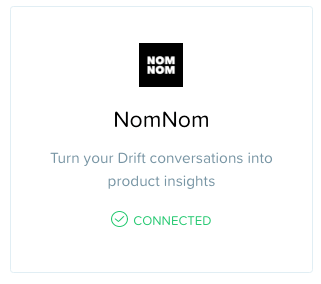 NomNom provides a unified view of your Customers across many different integrations, just sync your Drift data with any other data source you've connected to see valuable insights into your product trends and customer lifecycles! Connect to your NomNom Account! Want more information on the app? 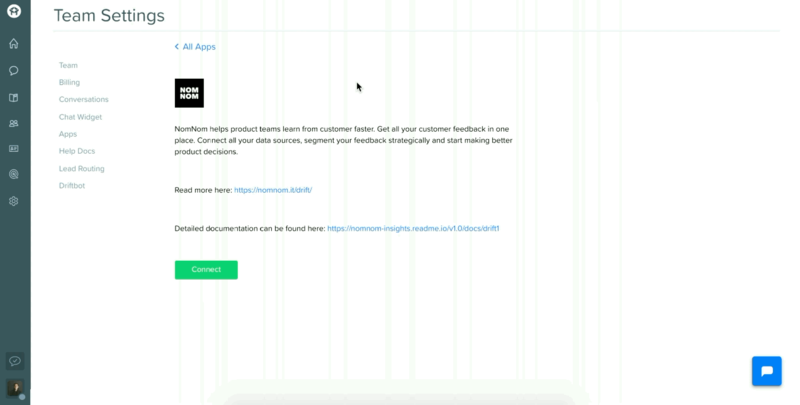 Check out the NomNom help doc for tips, limitations, and data import updates!